"Patent" v. "Latent" Defects: Why This Distinction is Important - Martin|Hild, P.A. An important distinction exists between patent and latent defects. 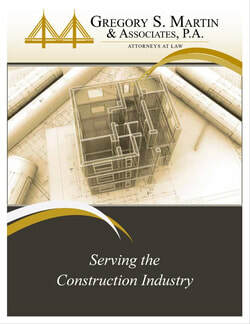 In 1988, the Florida Supreme Court extended the application of the Slavin doctrine to engineers and other design professionals.2 Recently, the Fifth District reaffirmed the application of the Slavin doctrine even in the face of blatant deviation from standard practices.3 In Transportation, a person died when her car struck an un-cushioned guardrail. Plaintiff’s estate brought suit against the DOT, the design engineer, and contractor. Plaintiff alleged that the design engineer breached its duty of care by negligently designing the guardrail contrary to accepted standards. Pivotal to the court’s decision was that the design engineer submitted plans to the DOT depicting the use of anchorages instead of crash cushions as set forth in DOT’s standard design. However, the designer was acting on DOT’s direction. The engineer argued that the DOT accepted its design knowing of the deviation; therefore, the DOT should be responsible and not the engineer. The appellate court agreed. The court reasoned that if Slavin barred Plaintiff’s claims against the contractor, it also barred claims against the design engineer even where the design was contrary to a set standard. Essentially, the nature of the defect was the same as to both defendants and the patency of that defect was the same as to both defendants. 1. Foreline Sec. Corp. v. Scott, 871 So.2d 906, 909 (Fla. 5th DCA 2004); See also Plaza v. Fisher Dev., Inc., 971 So.2d 918, 924 (Fla. 3d DCA 2007). 3. Transportation Engineering, Inc. v. Cruz, 20144 WL 5782251 (Fla. 5th DCA November 7, 2014). Design professionals should confirm in writing an owner's direction to deviate from applicable standards. However, the case reviewed highlights the stress between satisfying the requests of a client and the ethical obligations a design professional owes to the public at large.